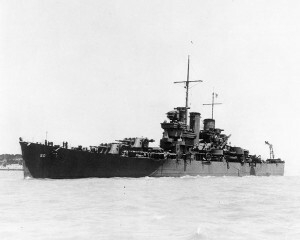 The light cruiser USS Helena, named after Montana’s capital city, was sunk during the Battle of Kula Gulf in the Solomon Islands during the night of July 6, 1943 as it fired on several Japanese ships. The Helena, illuminated by the constant muzzle flashes of its’ guns, was an easy target, and was soon struck by three Japanese torpedoes, which broke the back of the ship. It sank in 860 meters of water. 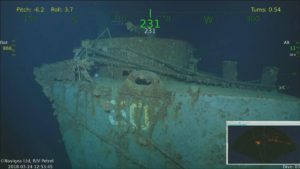 On March 23, 2018, nearly 75 years after the USS Helena was sunk, Microsoft founder Paul Allen announced that his R/V Petrel team had located the wreckage. 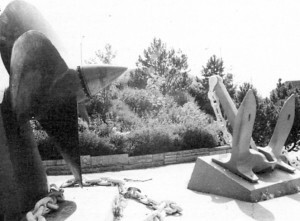 The wreck of the USS Helena with the bow number 50 clearly visible. The Helena was badly damaged during the Japanese attack on Pearl Harbor. It was towed to Mare Island California, where it underwent extensive repairs, including installation of a state-of-the-art radar. While it underwent repairs, the ship’s crew honed their gunnery skills. After the invasion of Guadalcanal, the Helena was sent to the Solomon Islands, where it participated in two major sea battles, the Battle of Cape Esperance and the Battle of Guadalcanal during the fall of 1942. The new radar and the gunnery skills of the crew made the Helena a fearsome adversary, and the Japanese Navy was fooled into believing that the Americans had developed fully automatic naval guns. 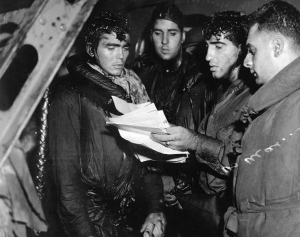 Read more about the USS Helena here.